2009 August « CASE CLOSED … what really happened in the 2001 anthrax attacks? On August 2, 2008, Tom Ridge, appeared on This Week with George Stephanopoulos as a McCain supporter. This was a few days before the FBI announcement that Dr. Bruce Ivins was, in their judgment, the sole perpetrator of the anthrax attacks, and that, after a few administrative details were completed, they would be closing the case. Stephanopoulos’ Question: It appears that the FBI believes it was Dr. Ivins at Fort Detrick. Do you believe the FBI has found the culprit? Ridge’s answer: Well, it’s difficult. I don’t know how far. I don’t know the evidentiary trail. I don’t know how deep they’ve dug. So it would be difficult for me to comment. This is a Jon Stewart moment! Tom Ridge was Assistant to the President for Homeland Security from 2001 to 2003, and the first United States Secretary of Homeland Security from 2003 to 2005. He was responsible for Homeland Security for most of the time the FBI was conducting the largest investigation in their history. If Tom Ridge says he doesn’t know enough to comment on whether the FBI had a case against Dr. Ivins, what conclusions can we draw from that? Perhaps the answer is that Secretary Ridge knew, not too little, but rather too much, to offer a comment in the midst of a presidential campaign. Perhaps someone will ask him again now that he is out pushing his book. The Obama administration recently convened the first in what could be a series of meeting with dozens of biological scientists and research analysts in an effort to bolster the White House’s evolving strategy on bioterrorism. The Aug. 13 meeting at the White House Conference Center brought together roughly 40 participants to discuss “policies to prevent intentional biothreats,” according to one international analyst who attended the session and spoke on the condition of anonymity. The discussion was led by Laura Holgate, the National Security Council’s senior director for WMD terrorism and threat reduction, and James Petro, a top official in the office, one expert told GSN early last week. “The administration is trying to think through what the agenda will be for addressing the challenges of bioterrorism,” Brian Finlay, a senior associate at the Henry L. Stimson Center who attended the meeting, told GSN. Concerns regarding certain research have grown since the terrorist attacks of Sept. 11, 2001, and the anthrax mailings that followed. Participants also offered their opinions on the Biological Weapons Convention and its upcoming review conference, in which member states will review the operations of the pact. The treaty, which entered into force in 1975 and today has 162 member nations, prohibits development, production, stockpiling and use of weaponized disease agents such as anthrax, smallpox or plague, as well as equipment and delivery systems intended for hostile use. The treaty has no provisions for verification or for monitoring compliance. There have been several comments on the CASE CLOSED blog alleging (but not proving) that the FBI’s failure to solve the 2001 anthrax case is related to protecting the interests of those who are illegally engaged in precisely the kind of bioweapons research which is prohibited by the 1975 Biological Weapons Convention. The FBI’s willingness to convict innocent men in the Boston case (recent $101 million verdict against the government) suggests that there may be times when the FBI is willing to break the law in pursuit of what it sees as a larger objective. * the FBI is found to have withheld evidence in a Boston case … it happens a lot in America … is it happening in the FBI case against Dr. Bruce Ivins? * more details about the FBI hiding evidence to convict the innocent in Boston case … who is safe when those responsible for upholding the law can break it to gain a conviction? This is one more compelling reason why our elected officials must insist that the FBI either admit the anthrax investigation is still ongoing (i.e., Dr. Ivins is not the sole perpetrator) or else close the case and make its documents available under FOIA. Kudos to the Obama administration for taking what might be the first step down the path of evaluating our bioweapons defense capabilities as well as any illegal bioweapons research and development. A federal appeals court upheld yesterday a landmark ($101 million) verdict for four men framed by the FBI in a gangland slaying. Limone, now 75, of Medford, spent more than 33 years in prison as a result of his wrongful conviction in the 1965 murder. Salvati, now 76, of the North End, was in prison for more than 29 years. The other two men, Greco and Tameleo, died in prison after decades of imprisonment. 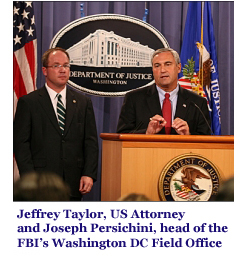 In a dramatic ruling on July 26, 2007, Gertner found the FBI “responsible for the framing of four innocent men’’ in the murder of a small-time criminal, Edward “Teddy’’ Deegan, in a Chelsea alley. She concluded after a 22-day bench trial that the FBI deliberately withheld evidence of the four men’s innocence and helped hide the injustice for decades. The discovery of secret FBI files that were not handed over during the men’s 1968 state murder trial prompted a state judge in 2001 to overturn the murder convictions of Limone and Salvati. Limone was immediately freed from prison. Salvati had been paroled in 1997. The convictions of Tameleo and Greco were later set aside posthumously. Documents in the Deegan slaying showed that the FBI knew that the key witness in the case, notorious hitman-turned-government witness Joseph “The Animal’’ Barboza, may have falsely implicated the four men while protecting one of Deegan’s real killers, Vincent “Jimmy’’ Flemmi, an FBI informant. Gertner found that the FBI protected Barboza and Flemmi because both provided valuable information against the Mafia, which was the bureau’s top priority at the time. In the Boston case, the FBI thought they had a good reason to break the law, so they went right ahead and broke it, withholding evidence and convicting four innocent men of a crime they didn’t commit. It is not clear how high the decision went in the FBI hierarchy. Who authorized the withholding of evidence? Another question is whether any FBI agent or official will be charged with withholding evidence and prosecuted? Criminal behavior by law enforcement officials is a frightening event. Who is safe when those responsible for upholding the law can break it to gain a conviction? Are there any similarities between this long ago case in Boston and the anthrax case? Is the FBI withholding evidence in the anthrax case? Did they purposely implicate a dead man so they would never have to prove an unwinnable case in court? Will the truth ever come out? I feel very strongly about the illegal misconduct of prosecutors, police and FBI agents, strong enough to write a novel about a young man convicted of a murder by a NYC prosecutor who knew he was innocent. Law enforcement officials who commit acts like that are rarely punished, but they should be. They are a black mark on the many good and honest prosecutors, police officers and FBI agents who follow the law. My novel about prosecutorial misconduct is called A GOOD CONVICTION and is available at amazon. 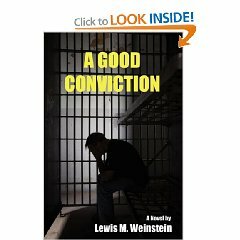 A Good Conviction is a novel, written by Lew Weinstein, about a young man convicted of murder by a NYC prosecutor who knew he was innocent. … is it happening in the FBI case against Dr. Bruce Ivins? There has been a lot of discussion on this blog recently about whether the FBI had a case against Dr. Bruce Ivins. Some participants seem to think that just because the FBI says it has a case, it actually does. Anyone who accepts that premise is obviously not familiar with the substantial record of not guilty verdicts and false convictions caused by prosecutor or police abuse. The novel I wrote before CASE CLOSED, titled A GOOD CONVICTION, deals with the case of a young man in Sing Sing prison, convicted of a murder by a NYC prosecutor who knew he didn’t commit the crime and withheld evidence from the defense that would have proven his innocence. What I wrote in A GOOD CONVICTION was fiction, but unfortunately, it happens for real every day in America. And until the FBI comes clean in the anthrax case, the suspicion must remain high that this is exactly what is happening in the FBI’s case against Dr. Bruce Ivins. BOSTON, Aug 27, 2009—A federal appeals court has upheld a $101.7 million judgment against the government for withholding evidence that could have cleared four men men who spent decades in prison, including two who died there for a murder they didn’t commit. The Justice Department had appealed the 2007 award by a federal judge who found Boston FBI agents protecting informants withheld evidence they knew could prove the men were not involved in a 1965 killing. The 1st U.S. Circuit Court of Appeals on Thursday acknowledged the award was high, but said it was appropriate for the harm suffered. Joseph Salvati and Peter Limone were freed in 2001 after three decades in prison. Henry Tameleo and Louis Greco died in prison. A Justice Department spokesman declined immediate comment. False convictions due to prosecutor/police/FBI misconduct happen all the time. Multi-million dollar awards like this are very rare, although more now than before. What almost never happens is criminal prosecution of the prosecutors/police officers/FBI agents who knowingly and purposely break the law to get a conviction. If that happened more often, it would discourage such illegal behavior and go a long way toward improving our justice system. * LMW to FBI … is the Amerithrax investigation still ongoing or not? The FBI’s answers, while trying to say nothing, strongly suggest that the investigation is in fact still ongoing, over a year since the FBI/DOJ press conference accusing Dr. Ivins and stating that the case would soon be closed. First of all, I appreciate your continued responses and direction. As you suggested, I called back and asked for the Media Representative. 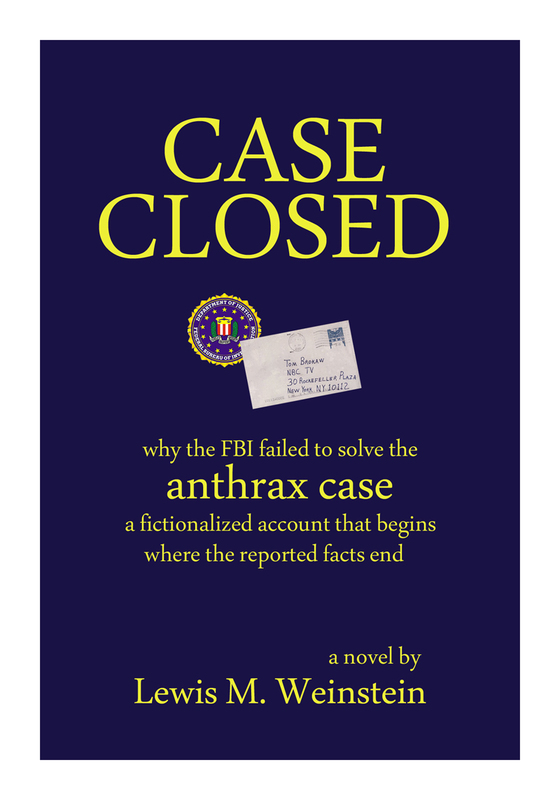 I said I ran a blog on the anthrax case, and when asked, told the lady the name of the blog … CASE CLOSED: why the FBI failed to solve the 2001 anthrax case at https://caseclosedbylewweinstein.wordpress.com/. I then said that I had questions about the status of the Amerithrax investigation. Are investigators still working on the case? When will the case be closed? She went away and returned to tell me that everything the FBI has to say about the Amerithrax case is to be found on the FBI web site at www.fbi.gov. So I went to the site. My search for “Amerithrax” produced not a single document dated later than August 2008. and not a single word to indicate the current status of the case the FBI said it was about to close in August 2008. Would you forgive me for thinking that the person who sent me to the FBI site knew there was nothing there to answer my questions? Wouldn’t it be more honest, and more likely to inspire confidence in the FBI, to simply tell the truth instead of sending honest questioners on wild goose chases? Either the Amerithrax investigation is ongoing or it is not. If the investigation is still ongoing, that is ample reason for the FBI to refuse to release information that might be useful to the unnamed potential perpetrators still under investigation. Since such information would be of no use to Dr. Ivins, dead for over a year now, this would also suggest that other possible perpetrators or accomplices are still being investigated. That would be encouraging to those of us, including many U.S. Congressmen and Senators, who do not believe the FBI has made the case against Dr. Ivins. If the investigation is not still ongoing, and the FBI intends to stand behind its August 2008 conclusions, then why not close the case and make the appropriate documents available under FOIA? One reason might be that the FBI is afraid its conclusions cannot be supported by those documents. The continuing refusal to either admit the investigation is still ongoing or to close the case and release the documents contributes mightily to the view that the FBI has failed to solve the case and is hiding some deep dark secrets. It is not healthy for the FBI or our country to have such suspicions proliferate. I would very much appreciate it if you would help me get off this FBI obfuscation merry-go-round and provide some straight answers, whatever they are. Thanks for listening to my request. So I went to the FBI web site, and what do you think I found? My search for “Amerithrax” produced not a single document dated later than August 2008. There is not a single word to indicate the current status of the case the FBI said was about to be closed in August 2008. More FBI obfuscation and delay. If this wasn’t one of the most serious cases in FBI history, the largest investigation the FBI ever conducted, and a matter of crucial national security interest, the FBI’s continuing clumsy behavior would still be a matter for concern. But in fact it’s a deadly serious matter that we do not know who perpetrated the 2001 attacks and precisely how they were carried out. Across the U.S., our police forces are severely handicapped in preventing a second attack when they do not know the details of the first. Many, including me, are appalled at the lack of evidence brought forward by the FBI to support the August 2008 accusation that Dr. Bruce Ivins was the sole perpetrator of the 2001 anthrax attacks. It seems abundantly clear that the FBI is hiding something, and the longer this goes on, the more important it is to know why the FBI failed to solve this case and what dark secrets they are so intent on covering up. My first reaction was that my calls to the FBI were a fruitless exercise. On second thought, maybe not so fruitless as I initially thought. “I called the number you gave me, asked if the Amerithrax investigation was still ongoing, and was told the FBI cannot give out any information on any investigation. That must mean the Amerithrax investigation is still ongoing. LMW: Is the Amerithrax investigation still ongoing? LMW: You can’t say if the Amerithrax investigation is ongoing or not? LMW: When do you plan to close the case? I called (202) 278-2000 at 8:00 am and was told I must talk to FOIA people. The call was transferred to someone (FOIA?) who told me to call 202-278-2000. I said I already started there, and was transferred again, to a line which immediately went dead. Is the Amerithrax investigation still ongoing? If the investigation is still ongoing, how many agents are still assigned to the investigation? If the investigation is NOT still ongoing, why have you not closed the case? When do you plan to close the case? If my questions are not appropriate for you to answer because the investigation is in fact still ongoing, perhaps you could so advise me. Thanks for your consideration. Documents released this week related to the CIA’s terrorist interrogation program … explain how CIA interrogators tricked Khalid Shaikh Mohammed, the mastermind of the Sept. 11, 2001, terrorist attacks, and Yazid Sufaat, a Malaysian scientist who was educated in the U.S., to reveal the details of al Qaeda’s ultimately unsuccessful plot in 2001 to unleash a deadly anthrax attack against Americans. Yazid admitted his principal role in the anthrax program and provided some fragmentary information on his, at the time, still at-large defendants,” the report stated. Authorities said Sufaat had critical knowledge about the plot as he had spent months hunkered down in a laboratory near an airport in Afghanistan trying to cook up a batch of anthrax. “But it was ultimately the information provided by [Mohammed] that led to the capture of Yazid’s two principal assistants in the anthrax program,” the report said, while not naming the two other suspects. Are we really so sure that all of al Qaeda’s anthrax attack plots were unsuccessful? If the FBI’s case against Dr. Ivins is as weak as it seems, then who did send the anthrax attack letters? We are now at T+ 30 days since the FBI announced they were “on the verge” of closing the anthrax case. 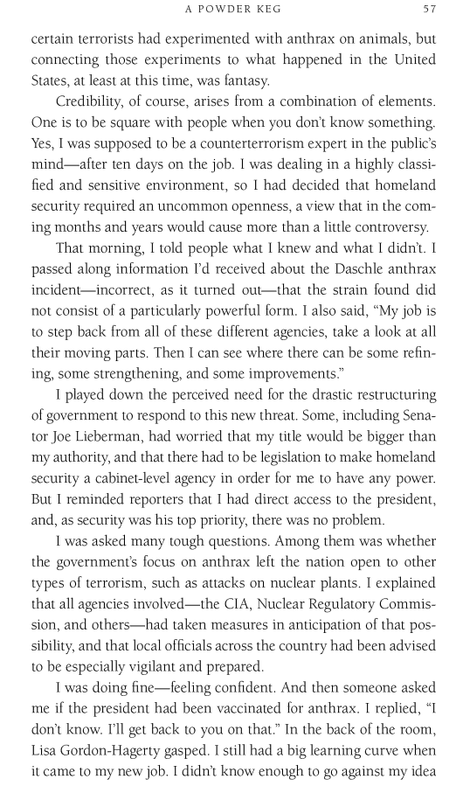 Ridge’s book, due out September 1 ,chronicles his entire tenure as homeland security chief. The publisher summarizes: “Ridge takes us through the challenges he and his new department faced, including Anthrax scares and reports (both real and false alarms) of new Al-Qaeda operations sprouting up in the United States” … Why are former Administration officials being allowed to collect millions for disclosing information which is subject to disclosure under FOIA? Is secrecy a means of ensuring big book deals ? The apparent FBI strategy, after charging a dead man who could not defend himself, has been to provide no credible evidence to support its case, and to delay any and all attempts, including by Congress, to penetrate their veil of silence. The bad thing is that it’s working. Other issues arise, and the guilt or innocence of Dr. Bruce Ivins fades ever further away in “attention-deficit” America. Is there anything likely to happen to change this situation? The Rush Holt Anthrax Investigation Commission is going nowhere. The NAS study will take another 18 months and will, in the end, only tell us what we know now, which is that the science doesn’t prove that Dr. Ivins or anyone else was the anthrax perpetrator. And, aside from Anonymous Scientist, who else is taking note that the FBI’s decision to close the case, and thus make available information now hidden, seems to be fading into an uncertain future. Perhaps DXer or others will get responses from FOIA requests that will lead somewhere. Or maybe the best answers we will ever get are in my novel CASE CLOSED, where the fictional mode allowed me to say what others, bound by facts, cannot. * What does a novel have to do with the real anthrax case? An example of an item the FBI is keeping secret is the reason for the Silicon Signature in flask 1030. In violation of the Freedom of Information Act, they reportedly have removed all copies of Lab Notebook 4010 from USAMRIID. In violation of FOIA, the copy made of Lab Notebook 4010 made in Fall 2001 upon being first produced to the FBI has not been provided under FOIA. (That would not have been subject to seizure in November 2007). Similarly, the copy of RMR Record for flask 1029 made in Fall 2001 upon being first produced to the FBI has not been produced. That indicated the withdrawals from flask 1029. This would shed light on when the critical record was altered using white-out — in which the place where it was stored was changed from Bldg. 1412 to Bldg. 1425. It may even tend to prove that the entire second page of the flask 1029 is a “redo” — production of the documents may reveal the reason for the 100 ml discrepancy in the records. The FBI most notably has been keeping Bruce Ivins’ emails secret, especially from September and October 2001 period that would bear on his whereabouts. The buck for compliance with FOIA stops at USAMRIID. Review by US DOJ is not a reason for non-compliance. Of course, if the FBI is not confident in its conclusions, then the FBI should continue its confidential investigation with our blessing. The FBI’s continued refusal to release information it is legally required to release is a travesty of justice, a holdover from the Bush-Cheney administration that the Obama administration should not permit to continue. 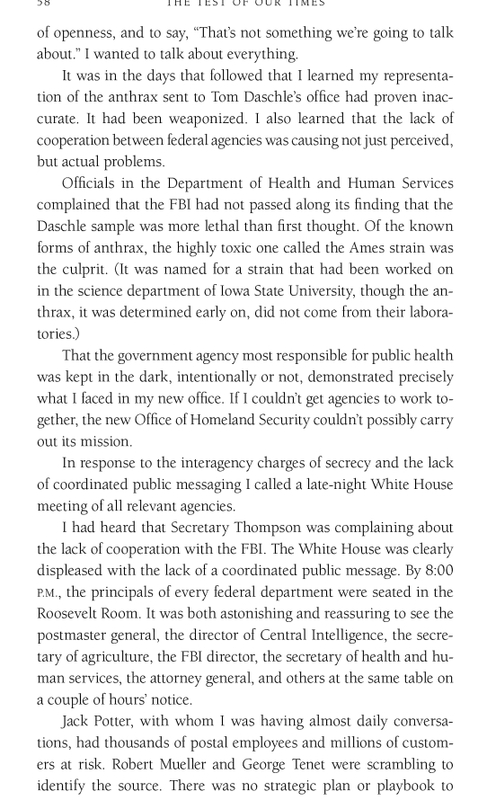 * Ft Detrick anthrax labs had no security cameras before 2002; what else is the FBI keeping hidden about this case? USAMRIID installed cameras in its labs between 2002 and 2008. How can it be that the USAMRIID labs which performed research on anthrax and other dangerous pathogens had no security cameras before 2002? This, and other security lapses in inventory control, are simply inexcusable, and someone should have been held accountable long ago. What else is the FBI keeping under wraps about this and other U.S. government facilities? * Did Abdul Rauf get his anthrax in an Ames, Iowa strip mall? It wouldn’t have been difficult.